On December 21, 2018, the EEOC (Equal Employment Opportunity Commission) and DOJ (U.S. Department of Justice) exchanged Christmas gifts early. The EEOC is now in a renewed partnership with the DOJ allowing for quicker referral action on harassment allegations against state and local government employers, putting those public employers more squarely in the EEOC's crosshairs and signaling to private businesses that harassment will remain a top enforcement priority. Under the Memorandum of Understanding, or MOU, these the agencies will share information and enables them to better coordinate their activities when charges alleging Title VII violations are brought against public employers at the state and local level. This enhanced coordination will allow the agencies to move more briskly in instances where the EEOC finds in the initial phases of its investigation that immediate action is needed to protect workers. In those cases, the EEOC will give the DOJ the information it needs to seek an injunction from a federal judge while a charge is still being investigated. 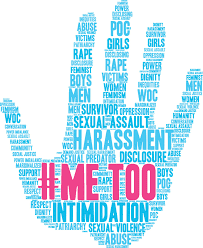 This is an outgrowth of the commission's sharpening focus on #MeToo legal issues under Title VII, the EEOC and DOJ split enforcement authority for Title VII claims levied against state and local employers. The EEOC has touted the partnership as a way to "ensure the efficient use of resources and a consistent enforcement strategy" against state and local government employers. "Harassment at work can have a devastating impact on people," Chairman Victoria Lipnic said in her statement. "The employees in the public sector deserve as much of our attention on this issue as those in the private sector." Like when an employee is fired while an investigation into their allegation is pending, you can expect that the DOJ will vigorously insert itself in those instances to assist the EEOC in obtaining temporary restraining orders or injunctive relief during the investigation phase of a case. Common Sense Counsel: In light of the MOU take the following proactive steps: 1) state and local government employers should think proactively about nipping discrimination and harassment in the bud before it occurs, as well as systemic ways to defend against charges when they are filed; 2) Make sure your existing policies are in tune with relevant anti-discrimination and anti-harassment laws, and the 2018 EEOC Harassment Guidance ; 3) Train managers and HR staff on those policies and make sure workers know both that the policies exist and what the internal procedures are if they want to pursue an allegation; 4) Actually deal with issues internally when they arise and to properly investigate them and make sure that appropriate measured action is taken; 5) To the extent that those protocols and policies need to be more robust and in writing, or training is needed, now is a really good time to turn attention to those issues; 6) In the EEOC 75 page harassment report the agency took a deep dive into the issue of workplace harassment and offered employers a series of practical recommendations for curtailing it – better read it now or you will see it in the TRO petition; and 7) realize if you are not handling these kinds of matters appropriately, the EEOC and DOJ will have you on their radar locked and loaded to fire in federal court! Tommy Eden is a partner working out of the Constangy, Brooks, Smith & Prophete, LLP office in Opelika, AL and can be contacted at teden@constangy.com or 205-222-8030. Blog at www.alabamaatwork.com with links.